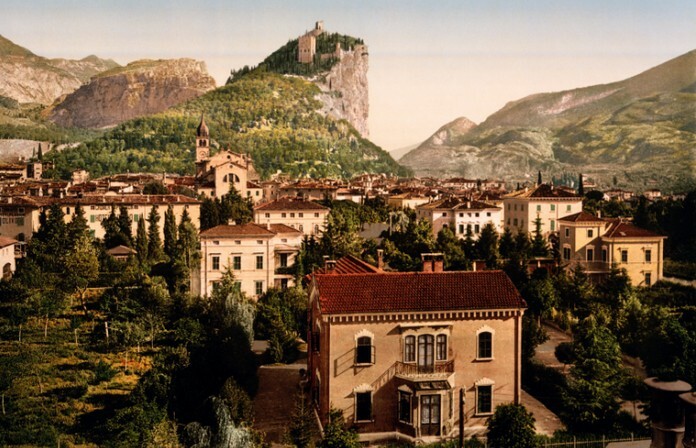 Take in the sweeping panorama that reaches from Lake Garda to the Alps at Arco Castle, perched atop jagged, almost perpendicular limestone cliffs. With its dramatic setting the castle was the subject of numerous artworks, including a watercolor by Albrecht Durer. Click the next ARROW to see the next image!